Given my last name, my junior high nickname of "Brownie," and my affinity for the dessert of the same name, you'd think I'd feel some sort of connection to the color brown. Quite the opposite is true. As a result, I've always rejected the counsel to use brown eyeliner and mascara to bring out my blue eyes. I favor dramatic eye looks, and I feel I can't achieve drama without black. And lots of it. Throughout the course of my Julep membership, I've obtained a brown eyeliner and brown mascara I would have never purchased independently. For a few months I've looked at them in my box of makeup, debating whether I should just throw them away. Before I did that, though, I decided to force myself to see what brown could do for me. Because I feel like brown eyeliner and mascara goes better with a more casual and natural look, I toned down my eye shadow. 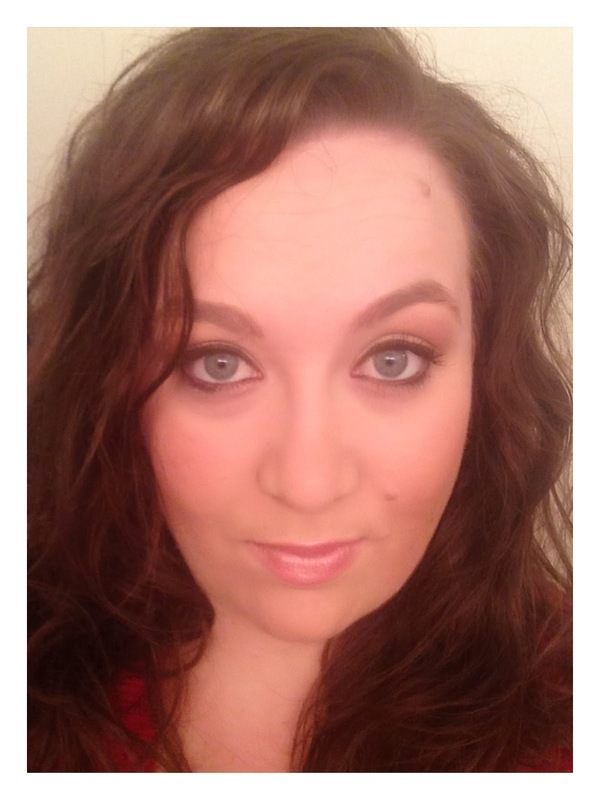 I took a medium brown that would typically act as a lid base color and used it in the crease. When I want the crease color to look more natural, I apply it first because it will get blended more into the lid and brow. (Obviously, on the flip side, if I want a more dramatic shadow, my crease color is the last applied.) I filled the lid and brow bone with the same pearl hue and finished the shadow with a light brown in the corner of the crease and lid. Then I applied the liner and mascara like I normally do. 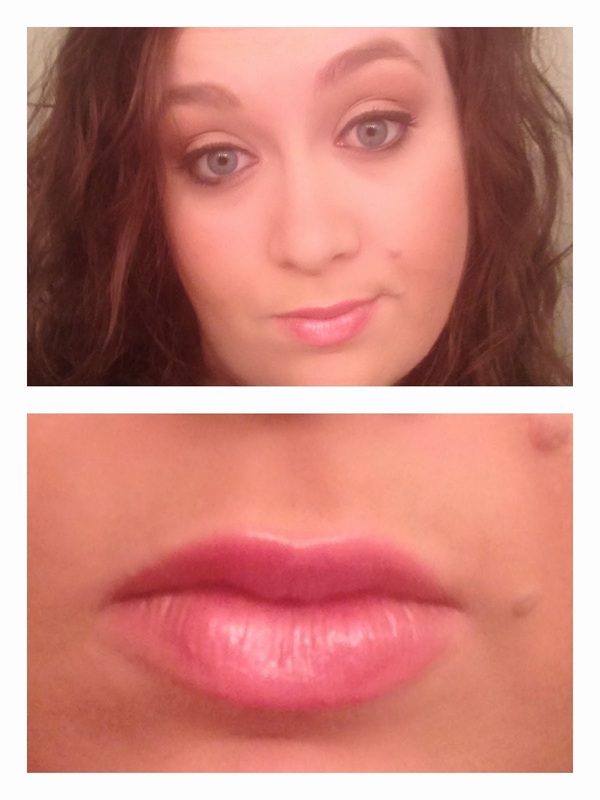 With my eyes feeling a bit duller, I opted for a pink lip gloss over my standard neutral shades. I don't love lip color, so I wasn't in love with the look. Setting aside the colors, let's talk about the products. 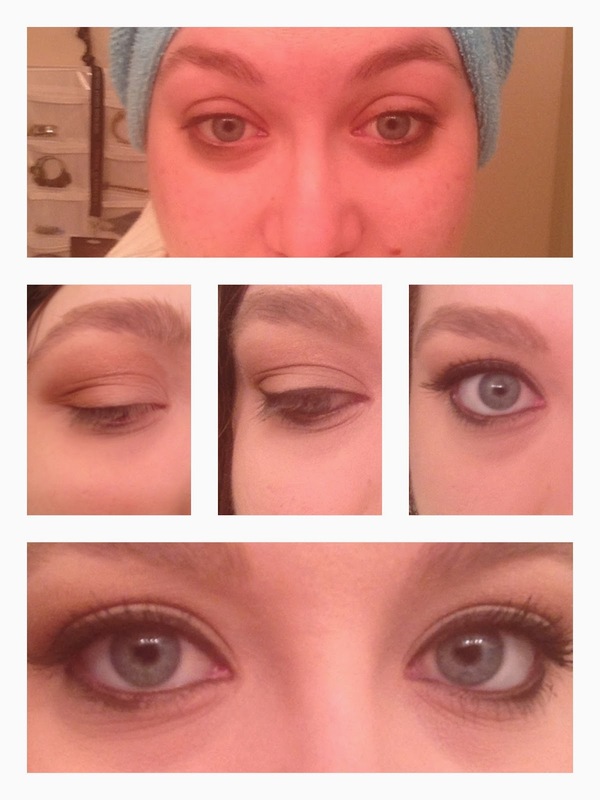 The Julep Kajal Eye Glider is great. It's double-tipped, with one side a fantastic carbon black (which I've used almost exclusively over the last month) and the other side a brown shimmer (which I used for the first time today). I'm forever fighting against my eyeliner running, and I won't say that this product solves that problem, but I do see less smudging than with some other brands. I really love this eyeliner. It's nice and smooth without being too soft. As a bonus, it comes with a sharpener, which is great if you're like me and always misplacing yours. 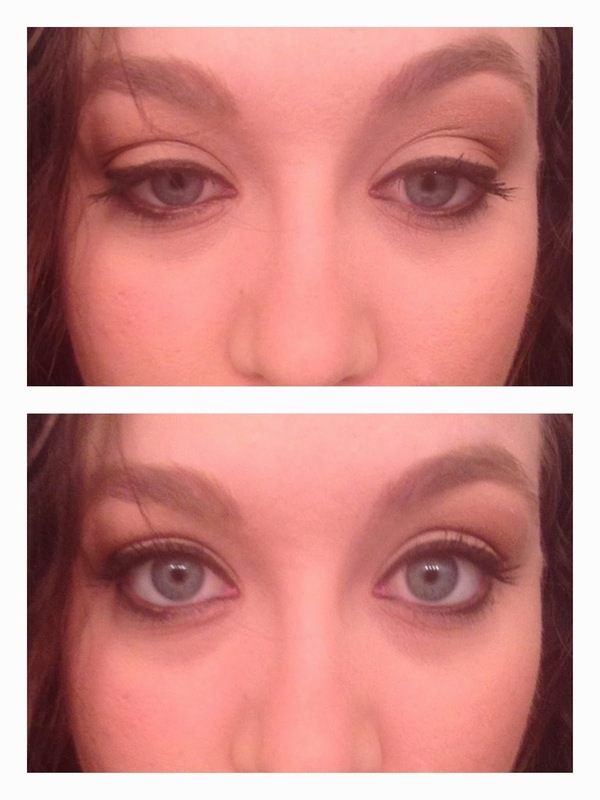 The Julep Lengthening Mascara in espresso brown isn't my favorite. I like bulky brushes for bulky lashes. However, if you like rubber-brushed mascaras and more natural-looking lashes, I would definitely encourage you to give this mascara a try. Even the harshest mascara critic would appreciate this mascara's lack of clumps. All in all, I think I'll stick with my black finishing touches. I actually felt like the brown pulled out the gray in my eyes, making them look less blue. I might save this look for casual Saturday errands, or when I realize too late that I've run out of eyeliner!